Note: This is a review that I did for my old blog, Horror in Retrospect. The review mentions the old blog. I am not going to change anything in this review. I am proud to introduce a new segment here at Horror in Retrospect: Guilty Pleasures. These are my favorite types of horror movies because they are so fun to watch. The movie may be bad, but you have a great time watching it. Today's focus is going to on Q: The Winged Serpent, a movie that I had heard about for a long time, but up until a few years ago, had never seen. Monster movies are one of my favorite sub-genres. Many of them are the most ridiculous movies you have ever seen, but they hold a special place for many, including myself. I remember when I was a kid, there was a channel that would show monster movies on saturday nights. So every saturday, I would be home by 10:30 to enjoy the current movie. I saw everything from the original King Kong to many of the Godzilla movies. As I got older, the station stopped showing monster movies and, for a long time, I stopped watching them all together. It wasn't until I started working at a local video, that my interest in monster movies came back. They had all of the old movies that I had watched as a kid, plus new ones that I had only heard about. 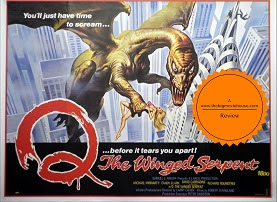 One of those movies was Q: The Winged Serpent, a movie that would start my love affair with monster movies all over again. 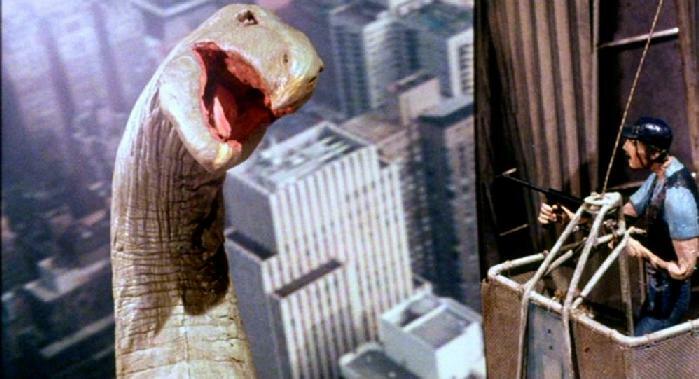 The movie centers around a monster that invades New York City and lays its egg at the top of the Chrysler building. 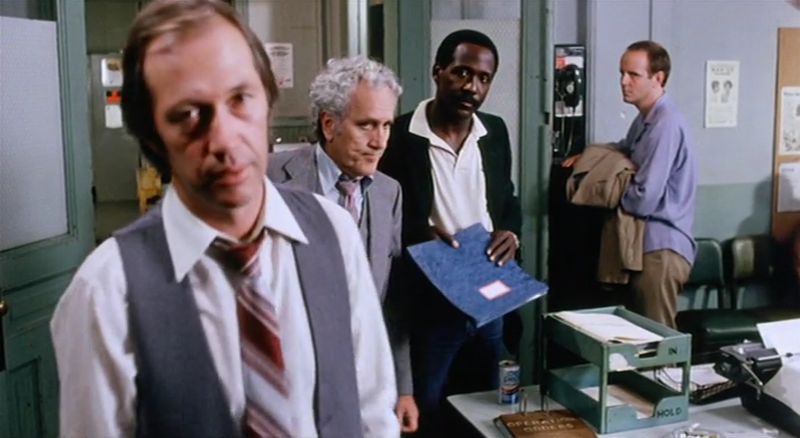 One day a con artist, played by the always great Michael Moriarity, finds the egg while running from the cops. The city, meanwhile, is in a state of panic because the monster has been flying around and killing people. The only person who can really stop what is going on is Moriarity, who, in exchange for immunity and money, will tell the mayor where the egg is. This is a great movie, but only in guilty pleasure terms. If you were to look at it from the outside, you would find a movie that makes little to no sense, has no flow to it, and has some of the worst special effects out there. But to someone like myself, these are qualities. These are what makes the movie so memorable. You don't go into a movie like this and expect it to be taken seriously. Of course the filmmakers have to take it seriously, to a degree, or else they would be calling attention to themselves. I'll give you an example. The movie opens with a girl talking on the phone in her office. 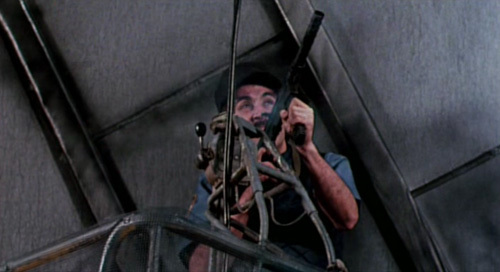 There is a window washer outside the window. The girl makes a comment about how she thinks the guy is a creep. She ignores him. But as soon as she turns around she notices that he doesn't have a head. The filmmakers know that this scene will incite laughter, so why keep it in? Because if they didn't them the movie wouldn't have the tone set right. This scene tells us that this is going to be a fun movie to watch. 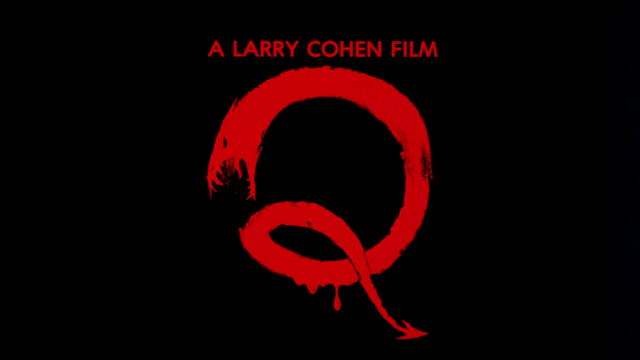 The director, Larry Cohen, is known for making schlocky horror movies. He previously made It's Alive and followed this movie with The Stuff, another movie that might grace Guilty Pleasures in the future. Cohen knows how to take, even the most ridiculous idea, and make it fun. I don't believe that Q: The Winged Serpent was a box office hit, but it could have been. I could not find any info about how well it did, but I can see a movie like this making money. Everybody, at some point in their life, has enjoyed a monster movie. They are the ultimate guilty pleasure and that is why I have included Q: The Winged Serpent as my first guilty pleasure.